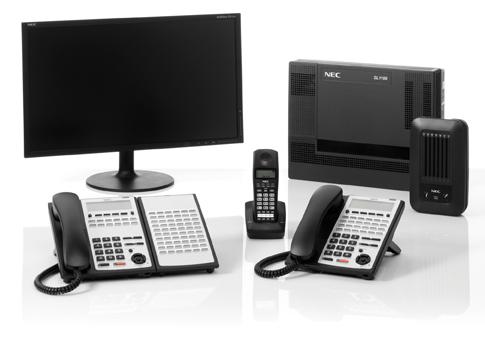 NEC SL1100 offers smart communications for small businesses. This solution is ideal for 2 to 72 extensions. From traditional Analogue, ISDN2e, IP or SIP technologies, the SL1100 has all the bases covered. Business performance is improved significantly by making an entire workforce more reachable wherever they are based. Users have real-time access to a full circle view of their business; managers easily communicate with team members and supervisors; sales people have immediate access to the data and resources they need to do their jobs from anywhere. VM8000 In Mail is an ideal cost effective solution that ensures that all callers get to the people and information that they need, without prohibitive hold times or dropped calls. It provides digitally integrated voice messaging capabilities and Automated Attendant features to meet communication needs both now and in the future. A complete call management solution, My Calls provides detailed call activity, allowing you to respond to changing conditions in your business more quickly. Your workforce is your most important asset, and now you can manage your whole team from your PC desktop. 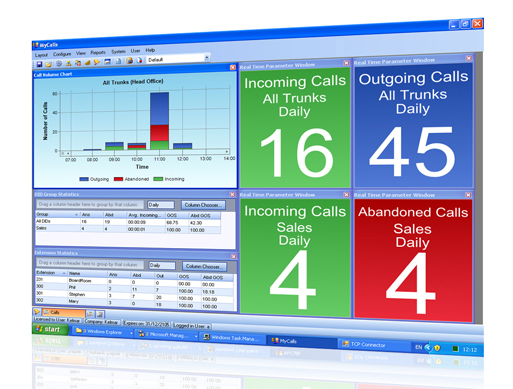 You can’t manage what you can’t measure how much custom could missed calls be costing your business? Many companies don’t know and have no means of finding out. With My Calls, you can follow up missed and abandoned calls immediately, giving you the potential to avoid losing business to your competitors on a daily basis. Why not have a look at the NEC SL1100 Business system in action & what business benefits it could give you!